In this episode, we continue our Father of Twins Interview Series with Kyle Mongold, father of two sets of twins. 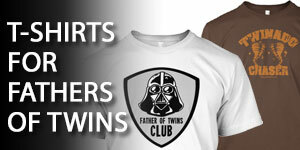 Joe: Hi, everybody, and welcome to the 166th episode of the Dad’s Guide to Twins podcast. This is Joe Rawlinson. As always, you can find me on the web at twindadpodcast.com where you’ll find the complete show notes and transcript for this episode and all previous podcast episodes. 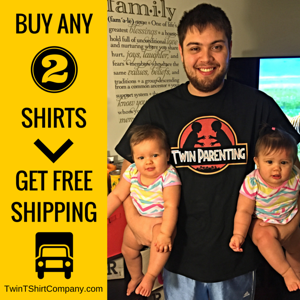 Today we are continuing our father of twins interview series with fellow father of twins Kyle Mongold. 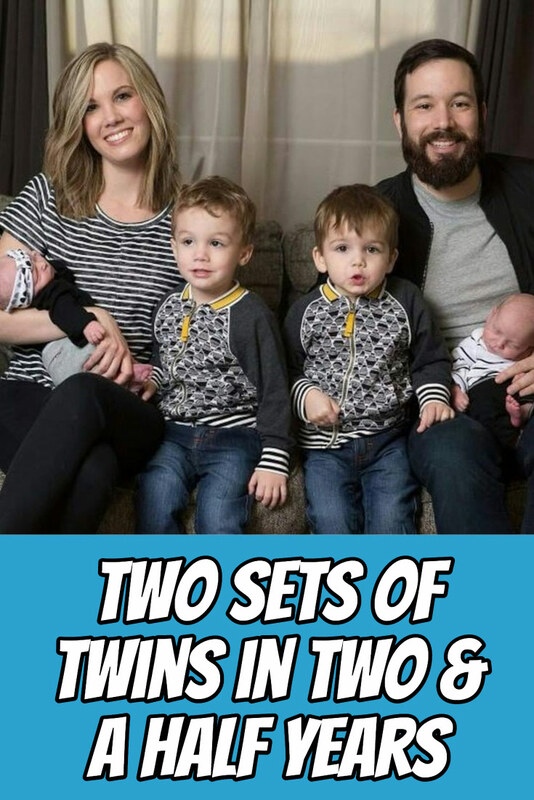 Kyle is the father of not only one set but two sets of twins, and how both these sets of twins arrived in their family are incredible stories. 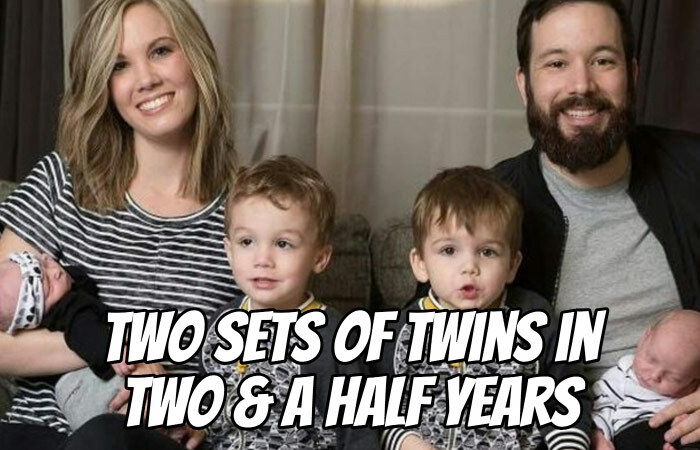 You’re not gonna believe how his initial set of twins arrived, the circumstances under which that happened, and the huge surprise that happened at delivery. And then how they were able to welcome a second set of twins into their family just a few years later. 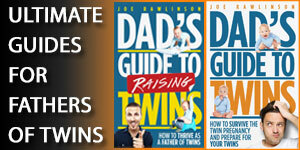 Get a free copy of my “Dad’s Guide to Twins” audiobook. You can get that book for free at freetwinbook.com. Now, let’s jump right into that interview with Kyle. Kyle: We struggled for about a year to get pregnant and found out we were pregnant with twins then, so we were super excited about that. We did not find out the gender until they were born. Joe: How did you keep that a secret the whole time? Kyle: We just told the ultrasound tech that we didn’t want to know, and we pretty much saw the same tech almost every time we went. They kept it a secret. I didn’t know what to look for. My wife was in the medical field, so she kind of didn’t really pay too much close attention to the images. Joe: That’s great. I know sometimes there’s a slip up at the office and the cat’s out of the bag, so I’m glad you guys were able to keep that a secret. Tell us about the birth. Kyle: Unfortunately it wasn’t a pleasant birth experience. My wife went into pre-term labor around 31, 32 weeks. We were in the hospital. Doctor said everything was okay. They sent us back home. We were home for a day, and then we went back down. This went on for, I think we were like two or three trips, and then finally the doctor said she had dilated, and they were prepping us that the twins were gonna come. This was around 32 weeks, so they were prepping us that they were probably gonna have go in the NICU. The doctors gave my wife some magnesium sulfate, and that was able to stop the labor. Then she was on hospital bedrest for four weeks until she was about 36 weeks, and then they sent her home. She was probably home for about four or five days and had just a checkup. She went in, and her blood pressure was elevated, so the doctors were concerned with that. They said that they were gonna induce that day, so they induced her around 7:00 in the evening, and our first boy was born around 1:30. Second baby turned head down and they were going to begin to deliver the second baby, and the doctor was concerned with his heartbeat. So, they were gonna do an emergency C-section, and they ushered me out of the room. With that, the doctor said there’s not enough time, so she basically pulled my second son out. It was pretty dramatic. My wife was just a trooper through the whole thing. It was an amazing experience. Then it gets really scary. After the afterbirth was delivered, my wife started saying something’s not right, she doesn’t feel right. The doctors again were pretty concerned. Her blood pressure just started dropping, and it was super low. I came back in after my second son was born. I was with her for about 10 minutes, and then her blood pressure just dropped rapidly. One of the nurses escorted me back out to the waiting room with my family. She mentioned that she lost a lot of blood during the delivery and that she needed some transfusions. I was like, “Okay”. I didn’t really think anything of it. I was just excited that my baby boys were here and I finally got to meet them. But then I was with my family for a couple of minutes, and I heard over the loudspeaker that they called the rapid response team to the labor and delivery operating room, which was where my wife was. Within a matter of seconds I can see the team rushing behind. The thoughts just going through my mind like, “Oh my gosh, what’s going on? Is she okay?” Fortunately it didn’t take too long. It was a scary few moments. A nurse came back out and got me and took me back, and they got her stable and rushed her to a CAT scan. What they think happened was they thought she had an amniotic embolism, basically some of the amniotic fluid got in her bloodstream, and it if would have reached her heart or her lungs or brain, it would have killed her. But fortunately it did not. She spent a couple of days in the ICO recouping, and she made a full recovery. She’s here now. I was just grateful for that. Joe: Oh, wow. That is a miraculous recovery. Were your boys okay at delivery or did they have some challenges as well? Kyle: My second son, Garret, spent a day in the NICU just precautionary, but both boys were healthy, and you couldn’t tell that they were … pretty small. Garret was four pounds eight ounces I think, so he was on the small side. Shows no signs of it today. Joe: When you look back over these last two and a half years with your boys, what have been some of the biggest challenges you’ve had? Kyle: They’re at a fun age right now. As soon as we brought these newborn babies home, I think I immediately gave them higher expectations. Just the discipline that is going on right now has been a struggle. I don’t know if that’s due to the fact that they’re maybe a little jealous of the time that we have to spend with the babies feeding and just holding them, so just the discipline right now. Joe: What kind of behaviors have you seen in them since you brought the newborns home? Kyle: The first week it was a real adjustment. They were just acting out, which isn’t like isn’t like our boys. Just blatantly disobeying us, but since that first week it’s gotten better. I’ve noticed that they’re interacting a lot more with each other, playing a lot better with each other. It’s getting better. I think it’s just an adjustment that we all have to make. Joe: Yeah, we had a similar adjustment phase, too. We had two older boys when our twin girls were born, and our older boys’ behavior changed overnight as soon as we brought the girls home. It took a while for them to work that out of their system. Is there anything that you and your wife did to help prepare your two older boys? Kyle: We talked to them as much as we could, and I think it helped my wife babysat our niece for some time so they knew what the newborn stage was like and knew that mommy had to feed a baby during the day and that she couldn’t have her full attention on them. Yeah, I think they got it as much as they could. Joe: Your new set of twins were adopted, is that right? Joe: How far in advance did you know that they were going to be joining your family? Kyle: We have friends from church who knew that we wanted to adopt. The birth mom was actually a foster sister of our friend. Long story short, she made some bad choices and eventually left this family. But basically she contacted our friend and said she’s pregnant with twins, do you know anybody who would like to adopt them? She came to us, and first she said would you like to adopt this baby. She kept it from us that it was twins until she could talk to us face to face. When she told us it was twins, my wife and I were just so fully of joy. It was really cool. After her birth experience we decided we’re not gonna go through that again. And we wanted more children, so this was just a really cool opportunity and just felt like it was meant to be for my wife and I. I think she was 20 weeks pregnant when we found out and when we met the birth mom. Joe: How far along were they when they were born? Kyle: They were 37 weeks. Joe: Did you know the gender of these two as well? Kyle: Yes, we did know the gender, a girl and a boy. 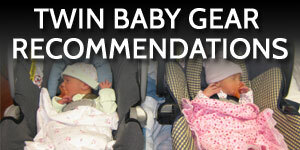 Joe: Tell us about the process of receiving newborn twins through adoption. When do you get to meet them and see them after they are born? Kyle: We actually would have been able to be in the room when they were born, but we live an hour away from the birth mom, and apparently she’s really good at giving birth to children. She called us at 3:30 and by 4:30 they were born already. Kyle: Yeah. We missed the delivery by about an hour, but as soon as we got to the hospital we went right into the room, and we were able to hold them. So, we took care of them from that point on. Joe: Looking back now that you’re on your second set, you probably learned some things the first time around with twins. What are some of the things you found working really well in taking care of them right now? Kyle: We have a great support system here. My family’s close, her family’s close. We need a night to just rest and get a full night’s rest. My mother has come in and actually slept in the babies’ rooms and taken care of them overnight so we can get a full night’s rest, which has just been fantastic. As far a standard night with just my wife and I, we just have it down. We don’t even have to communicate with each other. When it’s time to feed, somebody gets up and gets the babies. Somebody gets up and makes the bottles. I don’t know. Just a really good team when it comes to that. Joe: That’s awesome. That’s great to be in a groove with your spouse. Gotta know what each other needs to do and just take care of business. That makes things to a lot more smoothly. Was there anything that you and your wife did to help maintain your marriage and your relationship through these last two and a half years? Kyle: Yeah, absolutely. From the very beginning, we’ve made it a priority to date each other, to go on dates. We usually average at least once a month that we go out to dinner, maybe a movie and just spend time with just us. Joe: I know my wife and I have found that if we don’t schedule that time, it just never happens. How have you been able to balance your work responsibilities and family with the newborns in the house now? Kyle: It’s been good. I already was able to take off a week. I’m fortunate enough to … I work a mile from my house. I get an hour for lunch, so I’m able to come home and feed the babies right away when I get home. If I need to take off for whatever reason, they’re very flexible. Joe: Oh, yeah, that sounds like a wonderful arrangement. Walk us through a typical day in the life of right now. You mentioned your first boys are about two and a half and your boy/girl twins? Kyle: They’re four weeks old. Joe: What’s their typical routine as far as eating, sleeping? Kyle: The babies are eating every three hours. I think we’re on the midnight, 3:00, 6:00, 9:00 feeding schedule. We feed them at 6:00. I typically get in the shower after that. The boys wake up around 7:00, 7:15, so spend about 45 minutes with them just getting them ready for the day, breakfast and a change of clothes and just some one on one time with my boys before I go to work. My one son loves to make coffee with me, so every morning we get to make coffee together. Then I come home for lunch at noon, feed a baby quick, eat quick, and then I’m back to work. Get home around 5:00, eat dinner, feed the babies at 6:00, and then just playtime until around 7:00, 7:30, and the boys go down for the night. And then it’s just feed the babies at 9:00 and midnight. Joe: Sounds like a good routine. Are your older boys still napping or are they done with that? Kyle: They lay down every day. Whether or not the sleep is a different story. My one son, Gareth, is averaging he sleeps about every three days. He gets that exhausted that he just kind of passes out. They’re at the age where they need a nap but they don’t think they need a nap. Joe: That’s tough. They’re at that age, two and a half, where they want their independence and their opinion on everything. And like you said, sometimes they just go until they collapse because they refuse to sleep of their own choice. Kyle, you also participate in triathlons, Iron Mans. How do you balance training and participating in these amazing outings with your family responsibilities? Kyle: I’m currently taking a break from all the training and stuff, but last year I was able to do all my training while the boys were asleep. I would either wake up at 5:00, get an hour in, or I would wait until the boys went down at 7:30 and then get a couple hours of training in. I had the complete support of my wife, which was great. Sometimes that would roll over into the weekends. I’d miss maybe an hour in the morning of family time, but it was never an issue with my wife. Joe: That’s great. How do you think participating in those have helped you be a better father or a better spouse? Kyle: I initially started running because I was getting out of shape, and I just wanted to be able to run with my boys and not get winded. But it was kind of an outlet that just had some me time, got refreshed. Yeah. My health improved, lost some weight. It made me feel good. Joe: That’s fantastic. I think that’s too often overlooked by dads. When you get bogged down in work or taking care of the kids and we say that we just don’t have time to take care of ourselves, that’s inspirational that you were able to carve out that time and have seen the benefits from that. Kyle: I’ll never forget my best friend gave me a piece of advice when my boys were, I don’t even think they were born yet. But he said the best thing that I can give my wife is a healthy self, and the best thing I can give my family is a healthy marriage, and the best thing I can give my community is a healthy family. That’s just stuck with me for a long time. Joe: Kyle, thanks for sharing your story with us today. If other dads of twins would like to connect with you, what’s the best way to get in touch? Kyle: I’m on Instagram or Facebook. You can just search for Kyle Mongold. I’m on there. Joe: Fantastic. I’ll link up to your Instagram in the show notes for this episode of the podcast. Kyle, thank so much for being on the show. We really appreciate it. Kyle: All right. Thank you. Joe: I hope you enjoyed that conversation with Kyle about his adventures thus far as a father of two sets of twins. And what an amazing story he shared there of how his first set of boys were born and the complications with his wife and then how they were able to adopt a second set of twins just recently. If you would like to reach out and connect with Kyle, I’ll link up to his Instagram in the show notes for this episode over at twindadpodcast.com. 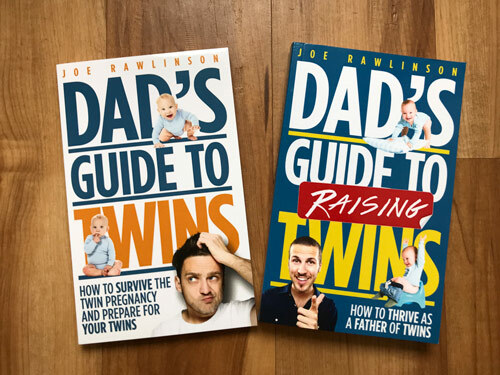 Today’s show was brought to you by my first book for fathers of twins. 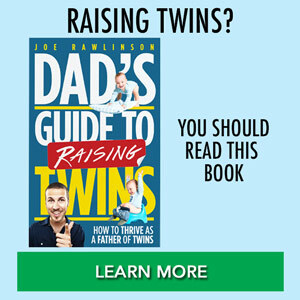 You can get a free audiobook version of “Dads Guide to Twins” at freetwinbook.com. And if you’d like to share your twin journey with the listeners here on the podcast, please email me, [email protected] Thank you so much for listening, and I’ll see you next time.